Screenings feel a bit like a mix between a health fair and a doctors visit. You check in with an intake specialist, who gathers information about your child's history and any concerns you may be addressing, and gives you a guide on what stations are relevant for you. Once you're checked in, you can visit any of our screening stations. We will have volunteers available to help guide you and make sure you have access to the information you want. Each station (listed below) will have different activities to do with your child, and different opportunities for you to ask questions. You’ll also find that some experts will ask about family history, or even habits at home – this is all about putting your child's unique needs into context, and helps give our experts a better idea of how to support you and if there is anything hereditary that might influence your child's results. You can share as little or as much as you feel comfortable, and know that anything shared with our volunteers and staff is kept strictly confidential. Once you have completed the screening, you will check out with a family support specialist, who will go over the screening results, and if necessary, refer you to any services that might be helpful. We can also provide information about other community resources, including where to find help with Oregon Health Plan, where to obtain assistance with utility bills, or what other non-profits or community services might be able to help your family. Your child’s hearing is tested using an Otoacoustic Emission screener; a tiny handheld machine that plays tones (or “robot music” for the little ones) through earbuds and allows us to recognize if there are potential concerns with your child’s hearing. With our top of the line Spot Vision Screener, all your child has to do is watch the flashing lights and the machine does all the work. 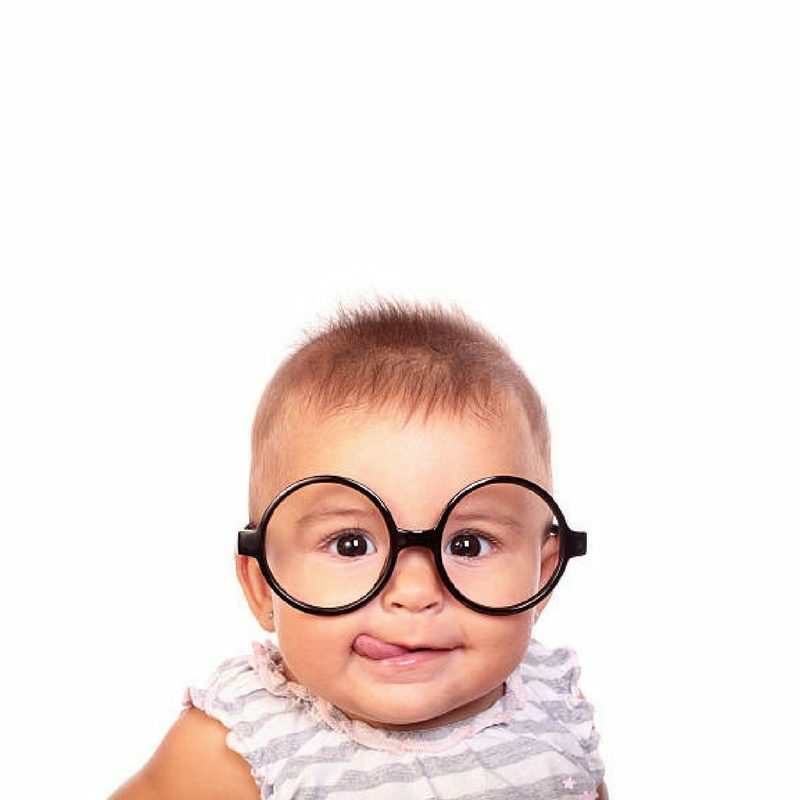 We capture an image of your child’s eyes and get instant results, identifying any potential concerns so they can be addressed even before your child can read letters off a chart. At the Development station we will go over age-specific milestones with the Ages and Stages Questionnaire. This quick and easy test takes only 10-15 minutes to complete and ensures that your child is reaching, or exceeding the typical milestones for their age group. Why screen development? Research shows that early intervention treatment services can greatly improve a child’s development. Early intervention services help children from birth through 3 years of age (36 months) learn important skills. 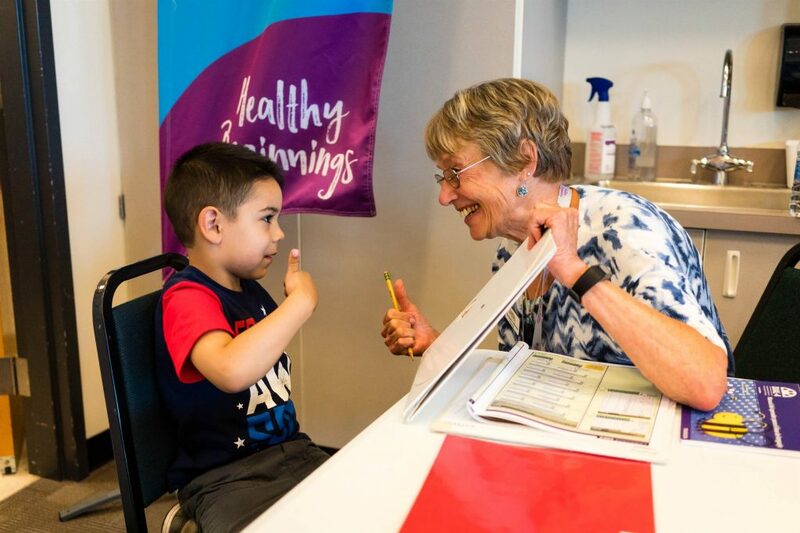 [Centers for Disease Control and Prevention] The sooner developmental concerns are addressed, the sooner intervention and skill building can begin, which helps provide your child with the needed skills to reach those necessary milestones. At this station your child plays while our experts observe, all while discussing with you your child’s social and emotional development and patterns of behavior at home. We address things like sibling dynamics, your child’s ability to self-regulate, and how they handle stress and conflict. We take the time to discuss any concerns you might have, or simply address what to expect as your child grows and meets new challenges. 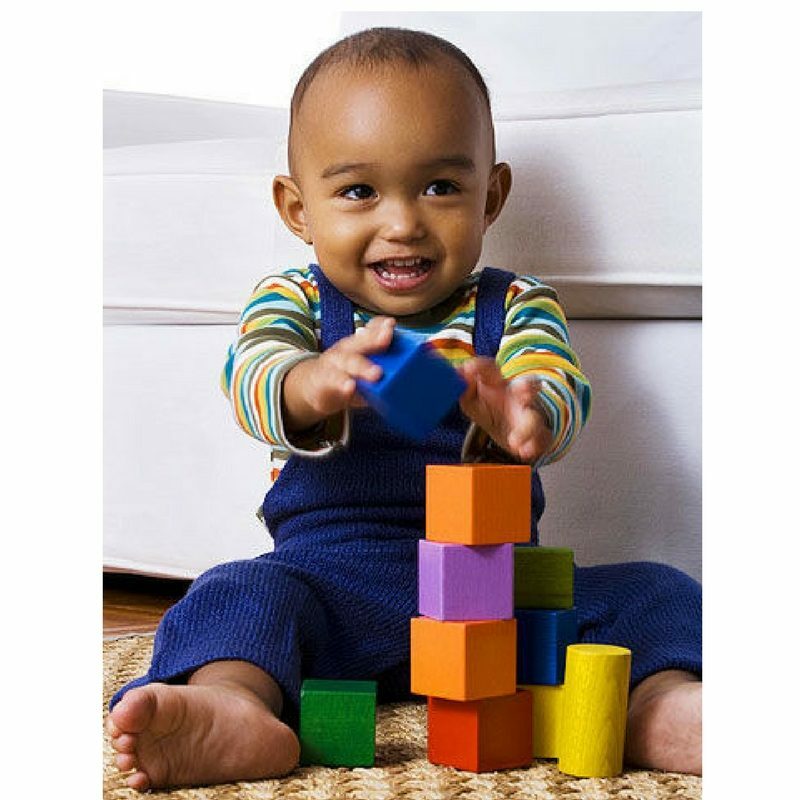 Your child will build with blocks, skip, throw, and trace, all with the goal of assessing their fine (small movements) and gross (large movements) motor skills. This station is a fun way to learn how your child is excelling and what to practice to prepare for kindergarten. 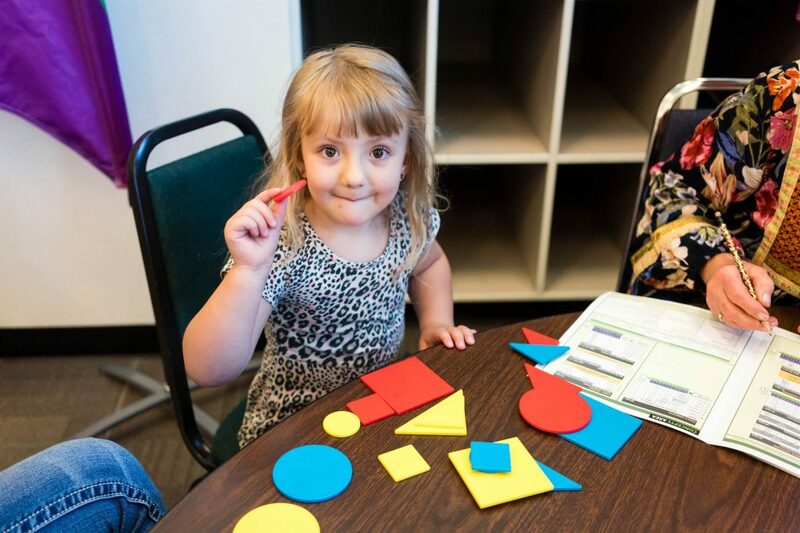 Your child will identify shapes, colors, and concepts; the expert will test your child’s basic grasp of numbers and letters and ensure they are on the path to being kindergarten ready. 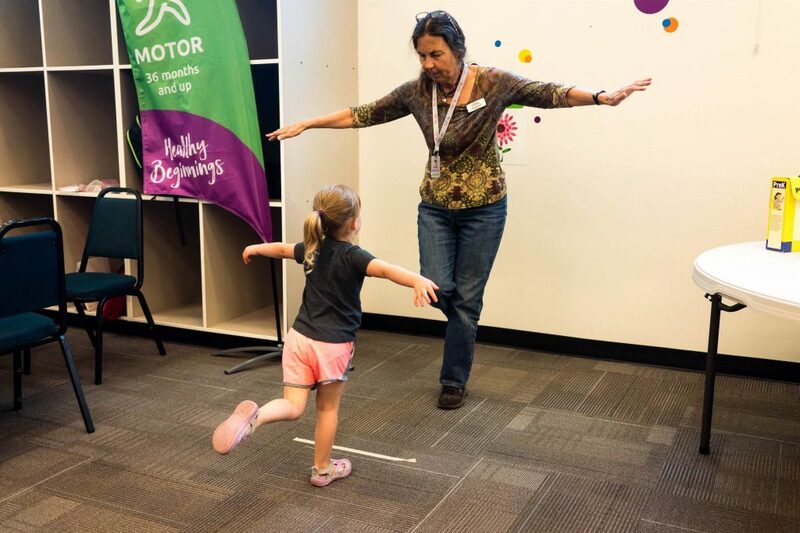 Our registered Speech and Language Pathologist (SLP) will use simple games to identify your child’s ability to speak as well as assess their developing language skills. If you’re interested, we’ll hand over some tips, tricks and milestones to help your child advance their language skills. Why screen for speech? Speech and language delays in children can be associated with difficulty in reading, writing, attention, and socialization. [American Family Physician] Delays in speech can cause major frustration for little ones who struggle to be understood; frequently causing distress, frustration and even behavioral issues as a result. 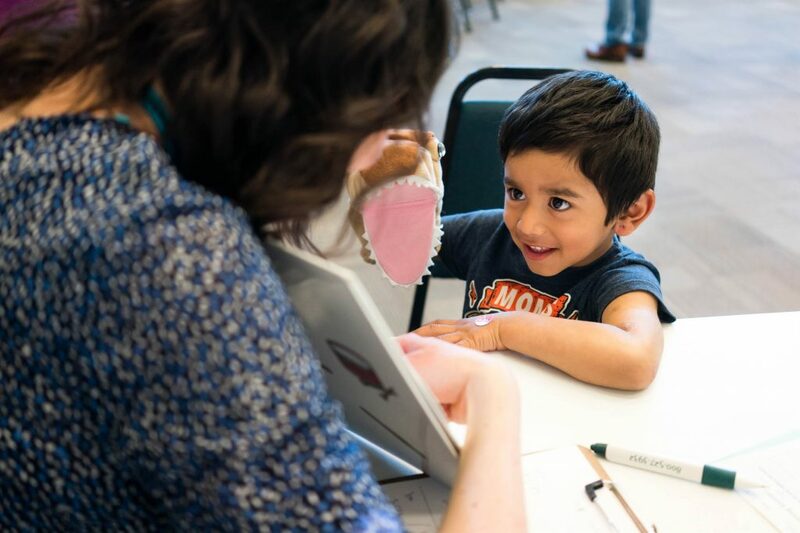 Our dental professional will look at your child’s teeth, identify potential concerns and assist in recommending dental care routines, as well as answer questions about good oral health and dental practices. Also learn how to incorporate healthy dental practices while your little one is still in diapers, and help to ensure they grow up knowing how to properly care for their teeth. 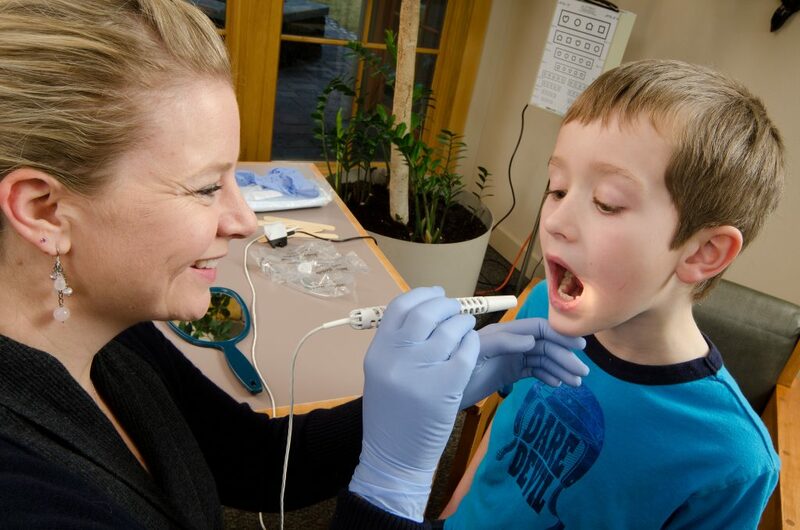 We also offer dental sealants for on the spot dental treatment. Why screen for Dental? Tooth decay is one of the most common chronic conditions of childhood in the United States, and is 100% preventable. Untreated tooth decay can cause pain and infections that may lead to problems with eating, speaking, playing, and learning.